The Vicenza creates an atmosphere of elegance and class in your space. These uniquely handmade medallions in Spanish style bring much warmth and grace to your custom built home. You can lighten the mood in all the rooms in your stately house using these natural stone medallions to complete its modern look perfectly. With dazzling patterns chiseled out on these Italian marbles, the medallions in Spanish style will look amazing in large rooms. The Italian stone is filled with raw beauty. Being natural stone product the medallions are easy to clean and resistant to heat. You can even install them in your kitchen including the areas around your cooking area. You can’t go wrong with these medallions. They ooze with natural beauty in their antiqued finish. The marble medallions bring a contemporary and modern appeal, all at the same time. 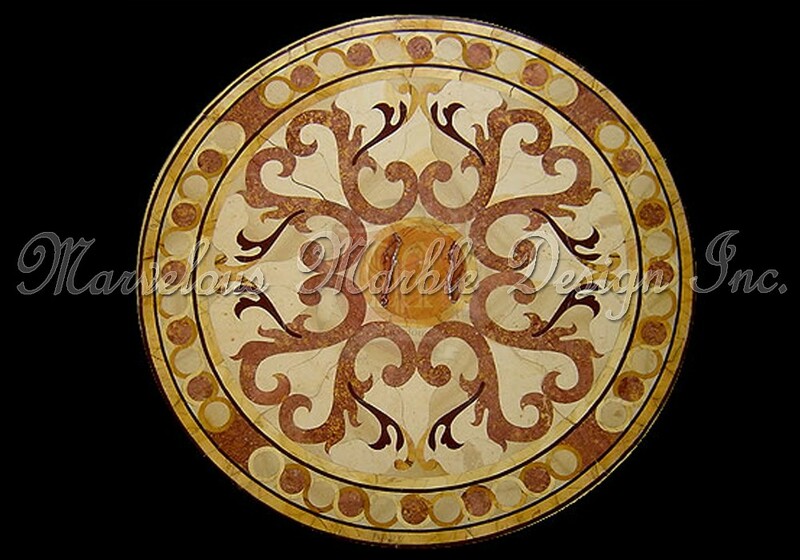 Without exception, these antique floor marble medallions are going to add depth and elegance in your living space. In fact you will be amazed and at the character that the medallions are going to bring along. They are going to create an interesting focal point in your home as they optimize neatness in your space. The circular shape of the medallions allows for the variation of color in a more intimate way. 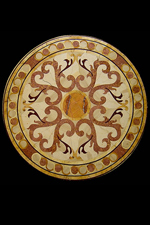 The shape allows all the colors and Chinese patterns on the medallions to be noticed and appreciated. The choice of light warm and neutral colors keeps the medallions looking neat without being overbearing. The colors will allow all the other decorative elements to shine as well. These lovely Italian marble floor medallions take freshness and cleanliness to a whole new level. 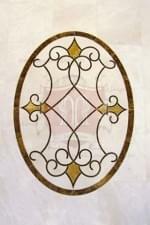 The medallions are if properly installed will make your custom built home meet every homeowner’s dream. Your luxury home will certainly be the envy of many friends and foes alike. Every man and woman in this life dreams of having a great home. So don’t worry when your foes like your friends heap praise on your home. 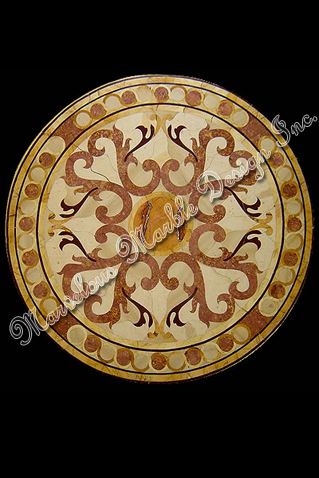 The Vicenza antique floor marble medallions designs come in various standard dimensions including such popular sizes like 36 inches, 48 inches, 60 inches and 72 inches. In addition to these standard sizes, the medallions can also be provided in virtually all custom sizes to fit your space perfectly. The thickness of the pieces can also be customized. 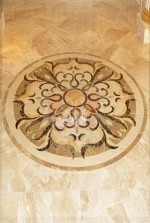 To learn more about the Vicenza antique floor marble medallions designs please give us a call at 1-888-272-0630.